We have decided to open a second training in North Little Rock at our sister studio Blue Yoga NYLA. Please email Courtney at cdb120@gmail.com. Registration is based on a phone interview, registration form and deposit being filled out. The first session will meet in Hot Springs, the second session is the retreat in Ferndale, the 3rd -9th Sessions will be split between Hot Springs & NLR. 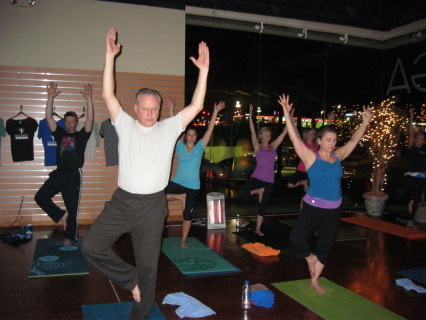 Yoga class starts at 10:00 Saturdays -6:00p.m. *With the exception of a verifiable emergency classes cannot be missed. Should you know you are going to have to miss a weekend call Courtney before training begins to see if you can work out makeup hours. More than two weekends missed the student will have to be transferred to the next training and pay another $150 Deposit. There is limited space in each training and the school cannot afford to hold more than a few spots for makeup hours each year so please consider this carefully before registering. Courtney Butler E.R.Y.T. 500, R.C.Y.T., R.P.Y.T. Assistant Director -Stacey Faught 500 R.Y.T., 200 E.R.Y.T. 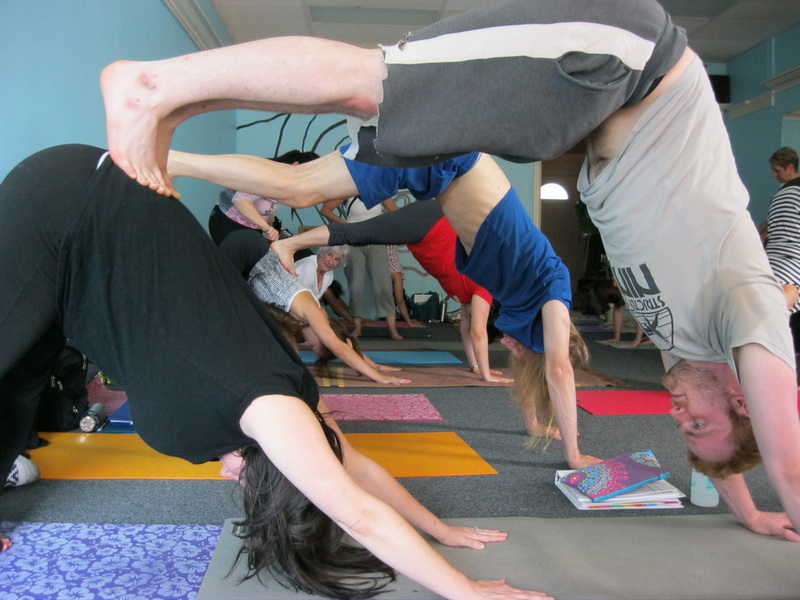 Yoga Alliance approved and registered yoga teacher training. Taught in the classical style. Hatha yoga utilizes breath, postures, and meditation. It is recommended that students have a background and basic knowledge of yoga before embarking on a path to teach. Each person is unique, so we ask that you call if you have questions regarding this. It is not necessary to be an expert; however, one should have a yoga practice before becoming a teacher. Balance: $1000 is due by Sept. 15, then four (4) payments of $350.00 due by the 15th of each month (Due Oct., Nov., Jan., Feb.) Payments can be skipped in December as a courtesy to help with Holidays. Books and Supplies: You will need a yoga mat, and although there is equipment at the studio, you might prefer to own your own 10-12' strap with buckle and large yoga blocks. Books: Instructing Hatha Yoga, Light on Yoga, The Bhagvad Gita, Yoga Anatomy, Yoga Sutras. (Detailed list will be provided on registration). Fill out registration, send deposit, phone interview, mark days in calender to ensure not missing. Find a place to take yoga classes with a Registered Yoga Teacher. You will need to accumulate thirty hours over the course of your training. This is also beneficial in finding work once you graduate. You will need a yoga mat, strap, two blocks, music (this can be done middle of the session), essential oil or analgesic balm for meditation and yoga therapy. Have an open mind, open heart, and clear your schedule to ensure not missing any training dates so you can graduate on time, missing class makes it very difficult to catch up.